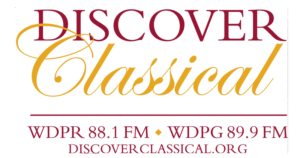 We are pleased that through the generosity of Mr. Charles Berry, the Springfield Symphony Orchestra will have all six of this season’s concerts broadcast on WDPR, FM 88.1 and WDPG, FM 89.9. These appear as part of the “Live and Local” series of orchestra broadcasts. We hope you will make a point of listening to our local musicians, live in Springfield and on the radio.